The monthly Australian Building Permits exceedeed the market expectations (Expected: 3.0%, Actual: 3.3%). On the other side, the monthly US Core Personal Consumption Expenditure – Price Index (YoY) was stable as the previous one at 2%. 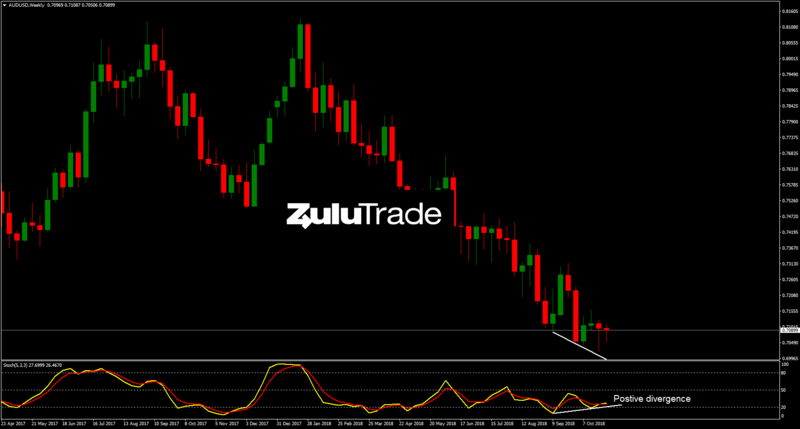 Viewing the weekly technical aspect, AUDUSD has been sinking for 10 months. Currently, Stochastics is forming a positive divergence, indicating a potential long term reversal. Moreover, looking at the daily timeframe, the pair is flirting with the resistance line (R1), while Stochastics seems to respect the trendline (T2). Both probably point out that the Sellers still control the pair. 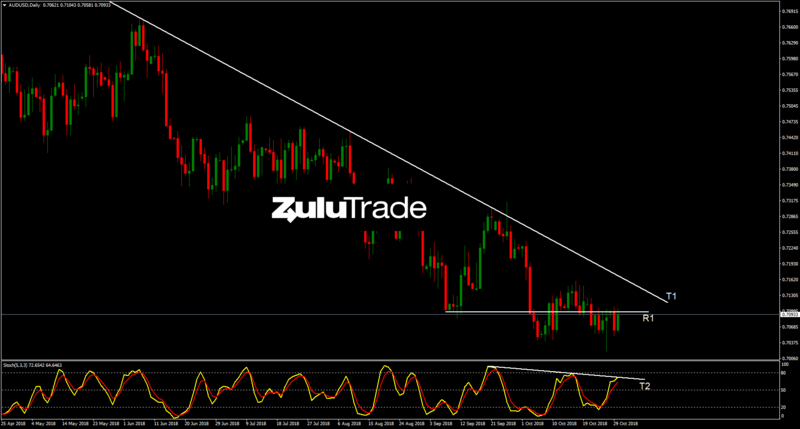 A breakout of the resistance line (R1) to the upside can work supportively to our potential bullish setup. 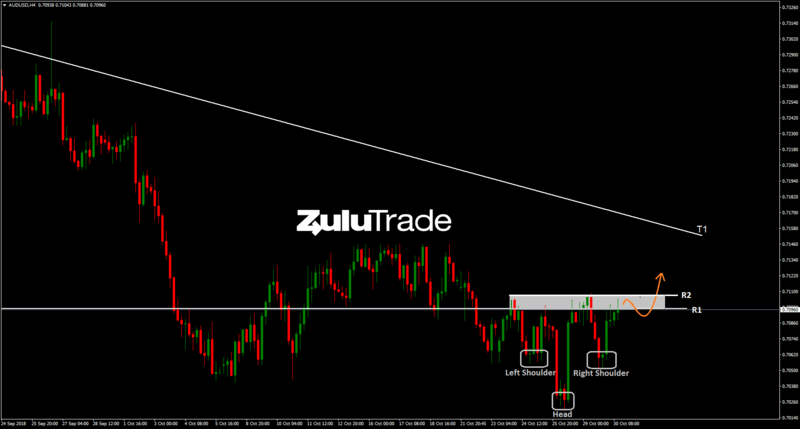 Heading to H4 timeframe, the pair has already formed a head and shoulders pattern. A violation of the resistance zone (between the resistance lines R1 and R2) to the upside offers probably a bullish opportunity. On the other hand, if price breaks 0.704 to the downside, then the scenario is busted.